Maryland Title Insurance : Online Quoting Available in Maryland for Title Insurance and More..
Online Quoting Available in Maryland for Title Insurance and More..
Maryland title insurance companies are now offering online quoting tools in increasing numbers. These quoting platforms offer real estate agents, lenders and consumers more convenience and transparency. Another benefit is the 24hr access to information. This could prove to be helpful to many realtors and weekend warriors trying to get information at a time most title companies are closed for business. Convenience is a key ingredient to providing service in the modern world. People want things faster, more access and easier user friendly tools. Online title insurance quotes seem to come in multiple formats offering varying degrees of information and come from a variety of sources. It is important to know what you are looking for in a quoting engine tool and what the differences are before you embark on a quest to gather information or do some valuable comparison shopping online. Some websites are not title insurance agents or companies at all. The simply ask you to give them contact information and your email address phone number and more. Then they push that information along to any number of title insurance providers who they sell the information to as leads. In other words your information has now been given out to multiple sources that are going to contact you, try to sell you, put you on their email lists and call you or more. All of whom are companies you know nothing about. Sometime after you enter all your information they will get in touch with you offering the information you requested in various forms. Some use over the phone sales conversation, while others simply email you an estimate of costs. On the surface this sounds like a way to get title insurance providers to compete for your business and competition is good for everyone. In reality you have no way of knowing or qualifying the companies buying your leads. Are they attorney owned? Are they established? Bonded? Will they settle in your home? Is the location convenient for you? Will a notary be conducting your settlement or an experienced agent attorney? These and many more questions are unknown at the time you submit your contact information because it seems anyone can buy the leads. We recommend comparing and shopping around for sure but do so directly with companies after you have selected several you are comfortable are going be a able to provide you with the kind of settlement experience you are looking for and any other factors you deem appropriate. Another form of online quoting is the estimator of title insurance costs. This is the website you may or may not have to enter contact information but where you get a scant limited estimate of what costs might be for title insurance with no guarantee and no assurance the information is accurate. These sites often direct you to call for an accurate quote. Can you think of any reason why they want you to call? Of course you can. Try to avoid sites that offer very limited quoting ability or those that don’t stand behind the numbers. This of course is assuming you are providing accurate information on the front end. No one can provide accurate title insurance quotes if the info provided is false or inaccurate. Garbage in and garbage out as they say. Look for a website offering more than just the cost of title insurance. Find one where you can get instant online anonymous quotes. 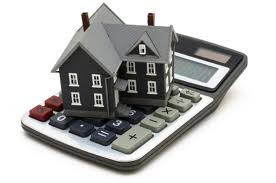 Pricing for title insurance costs including title search, closing fees, transfer tax and recording fees are the costs you need to be aware of and the items lender need to prepare your disclosure documents like a good faith estimate. The better sites offer free easy access to the information. They don’t make you input your personal email, phone number or more to get an accurate quote. Some may claim to be exclusive quote providers but don’t buy into that story. Many title insurance providers offer accurate quotes online and are happy to help you in any way possible. Consumers keep in mind you have the right to shop for and choose a title company you want to use. Don’t let anyone tell you otherwise. We encourage shopping around and competition so go ahead. Get on some websites, get a few quotes and or make a few phone calls. It doesn’t take long to get your hands on some great pricing information that can be helpful to everyone. Knowing how much your title insurance and related settlements costs are going to be and getting a fair market price are good things.